We shot these photos right on sunset and my boots didn't really photograph their true color, we even improvised and shot a few photos with my phone. I have these in black too HERE and I loved them so much I needed them in the Navy ...can't wait to wear them again and show their true color but for now check them out HERE. 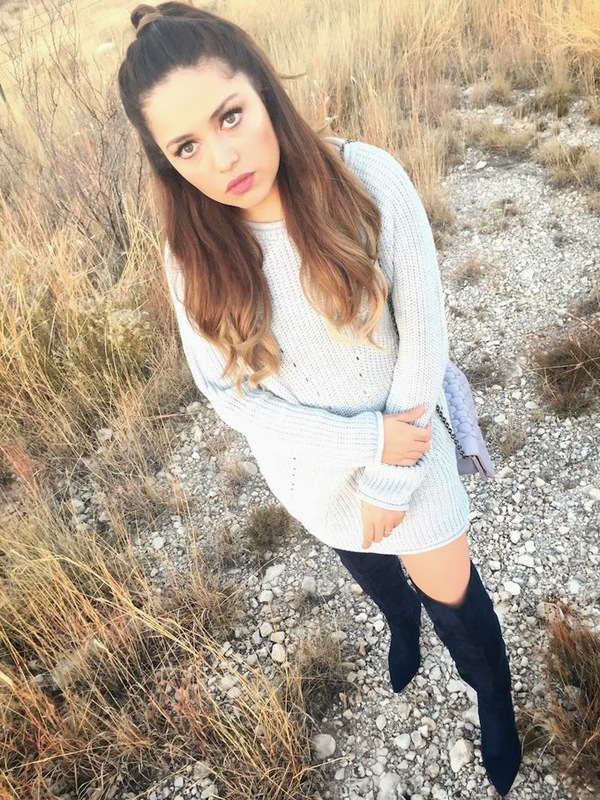 Love the over sized sweater Ash and also adoring those boots.